WhereThe flight departs from Rapid Number 25, and lands at Batoka Sky. After the flight a road transfer from Batoka Sky to accommodation venues in the Livingstone area is included in the rate. InclusionsTransfer from Batoka Sky to accommodation venues in the Livingstone area. 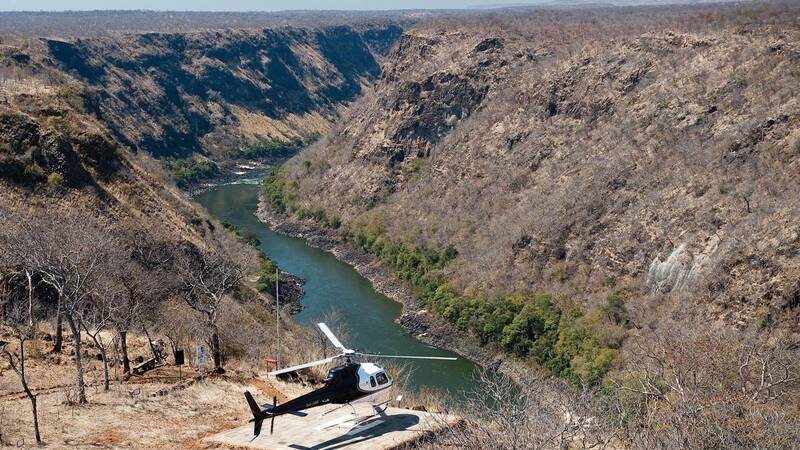 After the Jet Extreme boat experience, rather than an exhausting climb out of the gorge, be collected by helicopter at Rapid Number 25 and enjoy an exhilarating flight through the Batoka Gorge, circling over the Victoria Falls and then landing at Maramba Aerodrome.